San Diego, CA: MobiSystems Inc. announced the release of the Collins World Dictionary application for iOS, which contains a bilingual database for 23 languages allowing the selection of language pairs for instant translation. With extensive word definitions and pre-recorded audio pronunciations provided by Collins, the #1 dictionary publisher in the UK, this is the ideal solution for language learners of all ages. Whether users need a quick reference while on a holiday abroad, during an international business meeting or while chatting with foreign friends, Collins World Dictionary provides them with an easy to use interface. The application incorporates a complete language package containing an up-to-date, cross-reference database for English, Spanish, German, Russian, French, Chinese, Japanese, Korean, Thai, Vietnamese, Arabic, Italian, Swedish, Turkish, Norwegian, Dutch, Croatian, Czech, Finnish, Danish, Polish, Portuguese and Greek. It allows users to select any language pair and get instantaneous translation to and from each language. 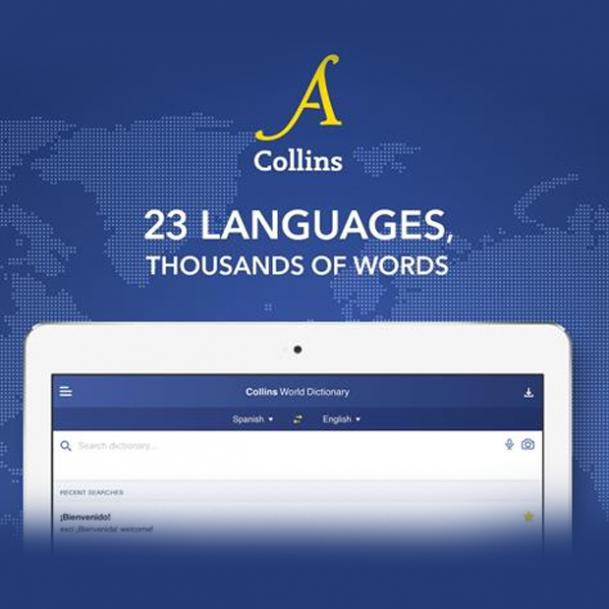 Collins Word Dictionary combines Europe’s leading bilingual dictionary publisher’s database with the advanced search and language tools, that have become the staple of quality language apps, to provide valuable language content and ensure a unique user experience. As one of the leaders in the office application and business productivity marketplace, with over 300 million lifetime installs across 195 countries, MobiSystems has been producing professional, top-level products since 2001. Along with the Oxford Dictionary of English, the company also develops other industry-leading product such as OfficeSuite, File Commander File Manager, Universal Book Reader and AquaMail to name a few.